Station No. 18 is the newest member to the Spokane Fire Department stations. It was opened in 1970 and located at 37 E. Cozza Drive. Unfortunately, in 1977, the property lines for the station were contested, though nothing ever materialized. The owner of the neighboring property claimed that the station was partially on his private property, encroaching approximately ten feet to the west. A letter sent to the city asked the city to remove the fire station. After city crews surveyed the property to determine the validity of the claim, for whatever reason, the property owner commented, "I don't know anything about it...That's news to me." He even protested that he did not own property adjacent to the fire station, however was quickly called out on his change in story. Though it is unknown why the property owner did not want to take credit for his claims, the city explored legal options, including condemnation, and adverse possession. No. 18 moved to 120 E. Lincoln Rd. in 2007, serving the North Spokane community. Funding for building the new station was provided by a 1999 property tax bond measure approved by voters for new fire stations, a combined training and dispatch center, new fire trucks, and new breathing apparatus. In order to circumvent similar property issues as that in 1977, the department used the 60-foot-wide vacated right-of-way plus a 20-foot wide slice of adjoining parcel to the east to create the station property. Caitlin M. Shain , “Spokane Fire Station No. 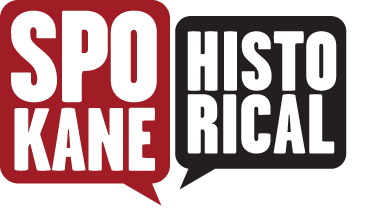 18: Property Wars,” Spokane Historical, accessed April 19, 2019, https://spokanehistorical.org/items/show/455. http://www.spokanecounty.org/pubpadal/ParcelSummary.aspx "Private Property?" Spokane Daily Chronicle, August 31, 1977, 5. Prager, Mike, "City Approves Four Properties for Register of Historic Places," The Spokesman-Review, November, 18, 2004, 18.